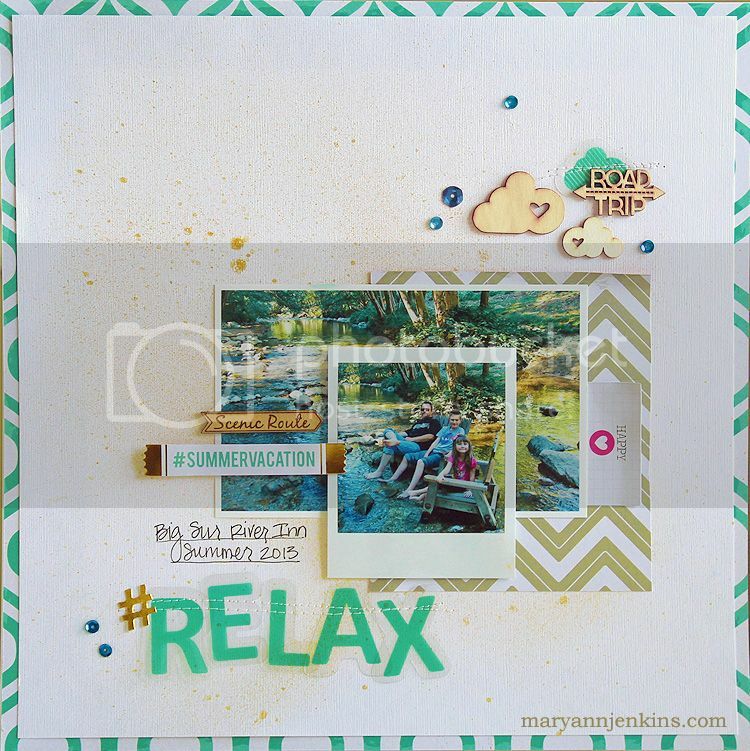 Here's a layout I had up on the Chic Tags blog, with pics from one of our favorite places to stop on the California coast. The Big Sur River Inn means spending time lounging in a big wooden chair, right in the middle of the Big Sur River, there's nothing quite like it. Enjoy the rest of this wonderful holiday weekend, and to those that have served our country, thank you. very pretty! I like the effect of the smaller focal picture on the larger picture.